When managing Hashimoto’s or any autoimmune disease, one goal is to avoid triggers that cause flare ups. 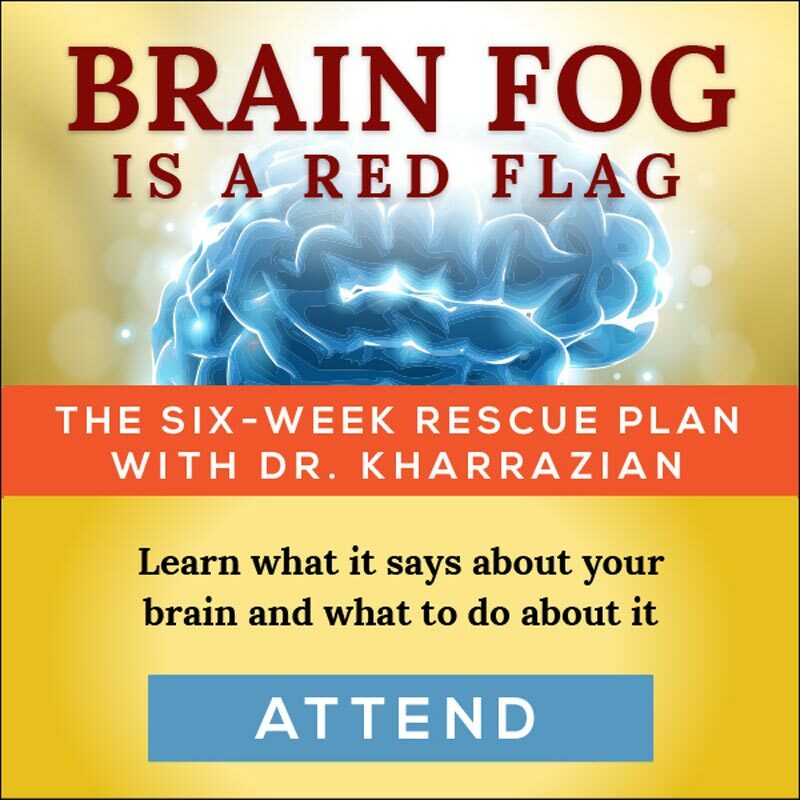 Although avoiding dietary triggers — such as gluten, grains, dairy, GMOs, lectins, etc. — is foundational, did you know environmental triggers can cause flare ups too? For example, one of the most common and most overlooked autoimmune triggers is bisphenol-A (BPA). BPA is found in all plastics, including water bottles, plastic coffee lids, the lining of cans, plastic utensils, and even in the ink on store receipts. Although it is impossible to completely avoid plastics, it is critical for you to reduce your exposure to plastics and BPA as much as possible if you have Hashimoto’s. One of the worst forms of BPA exposure is from plastic products exposed to heat or acidic chemicals — making plastic coffee lids and drink bottles primary offenders. As coffee or tea passes through a plastic coffee lid, both the heat and the acidity leach very high levels of BPA into your drink. Also, small amounts of BPA insulate the coating of paper cups. If you have Hashimoto’s or autoimmunity, simply avoid using the lid and, even better, brew your own coffee or tea and drink from glass or ceramic cups. It’s also important to avoid plastic bottles, especially if they are heated or contain an acidic beverage such as soda or fruit juice. You should absolutely never drink an acidic beverage from a plastic bottle as you will be drinking high amounts of BPA. 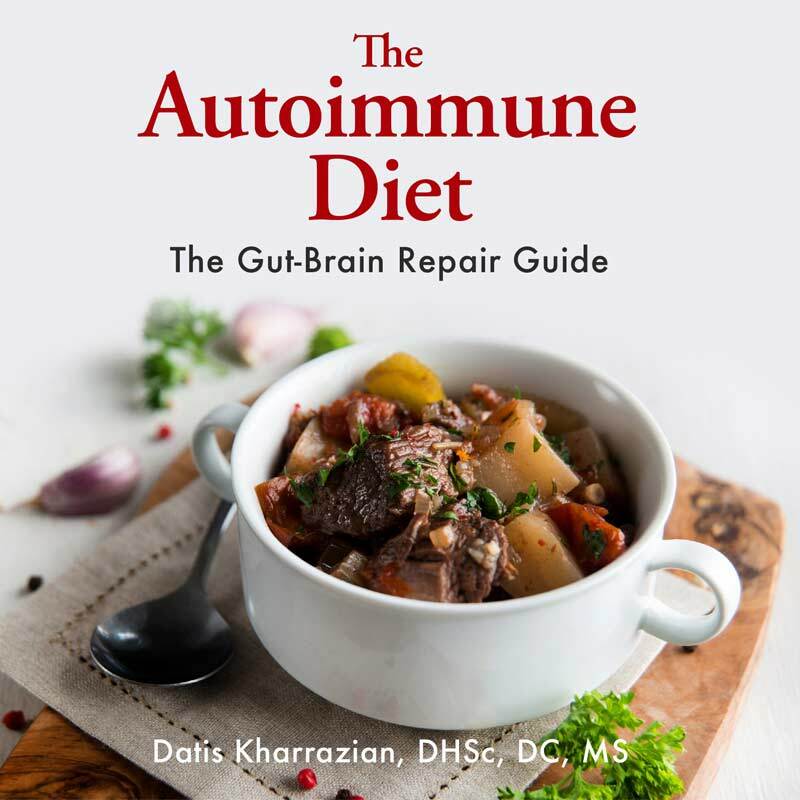 I recently published a scientific paper in the journal Autoimmune Disease reviewing every major immune pathway activated by BPA exposure and its links to autoimmunity. This is the first published paper that connects all the dots between BPA plastic products, its immune stimulating properties, and its potential to promote autoimmunity. 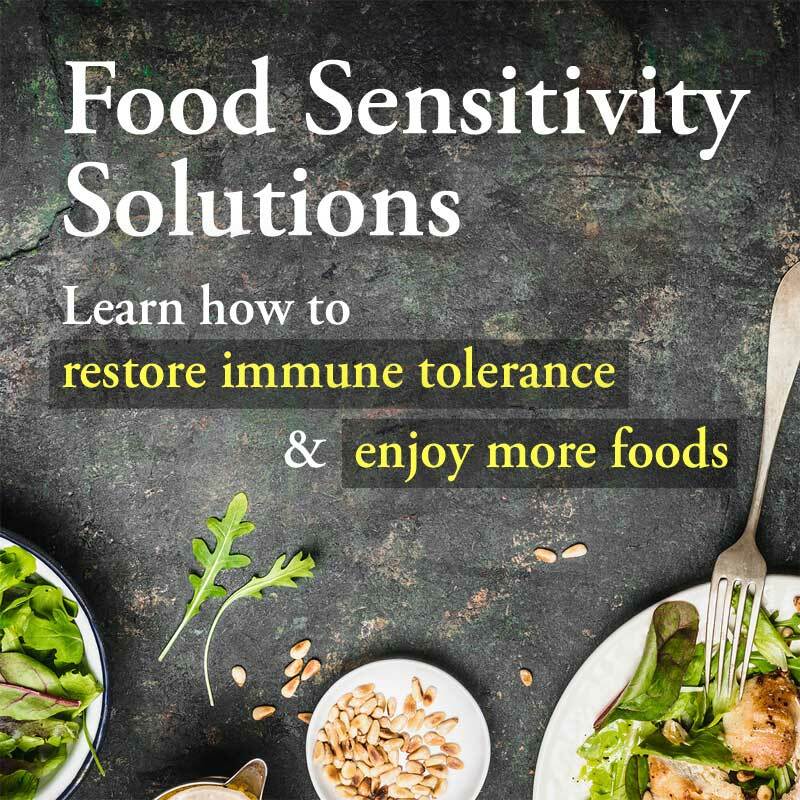 I am currently researching specific environmental and dietary protein triggers for autoimmunity. If you are looking for lifestyle choices that could improve thyroid function, reducing your exposure to plastics is an important step. expression. Toxicology. 2013 Feb 8;304:21-31. You forgot canned products! Where a majority of many people’s bpa exposure comes from! I am wondering if plastic ziploc-type bags contain BPA??? If everyone is like me, they are using them daily for food storage in the fridge and for taking cookies and sandwiches to work/school. Yes, plastic zip lock bags do contain BPA. I found non-BPA bags at Whole Foods. Laura, I agree with you about the plastic bags…. I try and use glass storage containers, but they, too, have plastic lids! I buy glass bottles of water and for alkaline water, I buy Eternal and Essentia, both are BPA-free. I’m very worried about vitamins and supplements since they are in plastic capsules and some of the soft gels wreak of plastic. It scares me. I try and pour them in my food or smoothies so I don’t have to ingest the plastic, t but my daughter who has Lyme and hashimotos and the gene for mold/lyme and the mthfr gene, as well as encephalopathy of the brain, takes vitamins and supplements at college that I provide. Now I’m afraid it could be damaging her. She’s on IV for Lyme encephalopathy. She’s had Lyme 15 years, but misdiagnosed for 13 yrs. We found out through a brain spect she has severe hypoperfusion in all her lobes and basal ganglia and severe hypometabolism in all her lobes and cerebellum…Horrifyimg. The neurologist believes hashimotos is causing the encephalopathy and wanted to use IV steroids, but the Lyme dr believes that it’s the untreated Lyme causing it, and if you treat the lyme, the hashimotos will remit…my daughter hasnt felt much different, but I can say that in the six months she’s been on IV her anti-thyroid peroxidase numbers dropped from 471 (at their highest they were 650) to 84 as of the last blood work. So the IV rocephin is doing something to the thyroid numbers…TSH and free T3 used to both be low…they’ve normalized and TBG is still normal…as is fre T4free T4 her reverse T3 was just one point higher than normal. I still wonder if it is the Lyme or hashi’s causing this encephalopathy, but if the thyroid numbers have normalized, I have to believe and hope that in time the brain will reverse. She needs to be on IV for at least a year, because the brain is the last to heal we’ve been told, and even if we repeat the imaging studies, the dr said it takes a while for them to catch up…my daughter deferred college for a year and started this past September, IV and all, and it is very diffcult balancing a full course load, nursing visits, dressing changes and weekly blood draws (bec the lab screws things up a lot), but she is an incredibly strong young lady. I’m so proud of all she’s gone through. She’s only 19 and ai d love a definitive test to figure out what is causing this encephalopathy. We did have a spinal tap that was normal and a Cunningham panel which was likely for PANS (with two positive and three borderline assays)., thus her dx of “infection-induced autoimmune encephalopathy” (which sounds more like hashi’s simply because lyme is not considered autoimmune)…hopefully these two great books will shed some light…I cannot wait to read them. Solgar sells vitamins in glass bottled. When I told my new doctor that my Thyroid antibodies had been over 600 in the past and that I wanted to test them again, she said since they could not do anything to lower them, there was no need to do the test, that we should just wait until the thyroid was not working any longer then go on thyroid medication. I hate to think she is right, it doesn’t sound right to sit and wait for it to be destroyed and not do anything. What can I do? I know that I have hashi’s and have been on a grain free diet as well as avoiding nightshade, dairy, egg and other foods that have harmful lectins in them for over three years. Do I need to know what my thyroid antibody level is? This sounds horrendous! I am a nutritional therapist and I know you can be helped through diet and appropriate nutritional support. May I suggest you find a good nutritional therapist in your area (look for one that is registered with BANT). Nutritional therapy is completely individual and based on your specific needs so you need to see someone, rather than just follow the advice from a few internet posts. 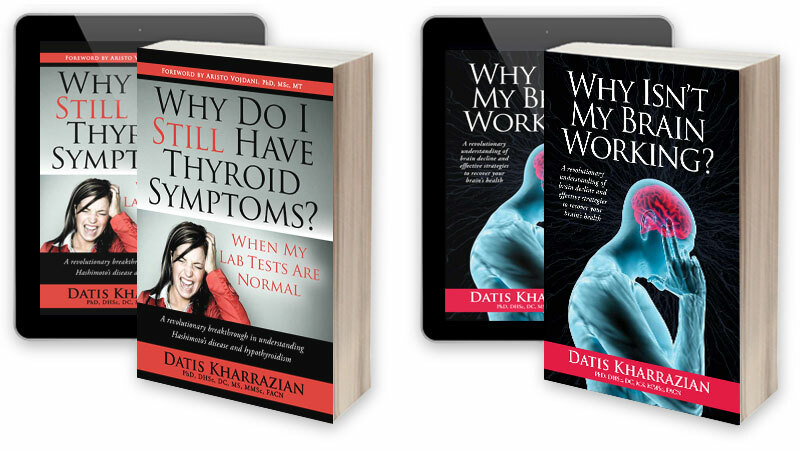 Unfortunately, your Doctor is quite limited in what they can offer and it will be very late on in the disease process (as you say, when the thyroid has failed completely), in which case you are then left with a lifetime of after-effects. So unfortunate. What kind of nutrition do you think one needs to have in order to counter this am in an area where there not many nutritionists around. I am an environmental scientist and an engineer. While I agree that BPA is a hazard as an endocrine disrupter, you are incorrect in the statement that BPA is in “all plastics.” It’s not. BPA is a plasticizer found in many epoxies, but most importantly, it is used in polycarbonate and flexible PVC. If you look at a plastic article, look for the recycling symbol with a number on it. It is VERY unlikely that plastics 1-6 have BPA as the plasticizer. This does not mean that the other plastics do not have bad stuff leaching out into food, etc. It just means that it is not BPA. In general, people should avoid getting food stored in plastic hot (putting hot food into it, microwaving it, leaving it in the car). If desired, people can avoid plastic food containers (or metal containers with plastic lining) all together, but they should also avoid candy wrappers and cooking in teflon-coated cookware. 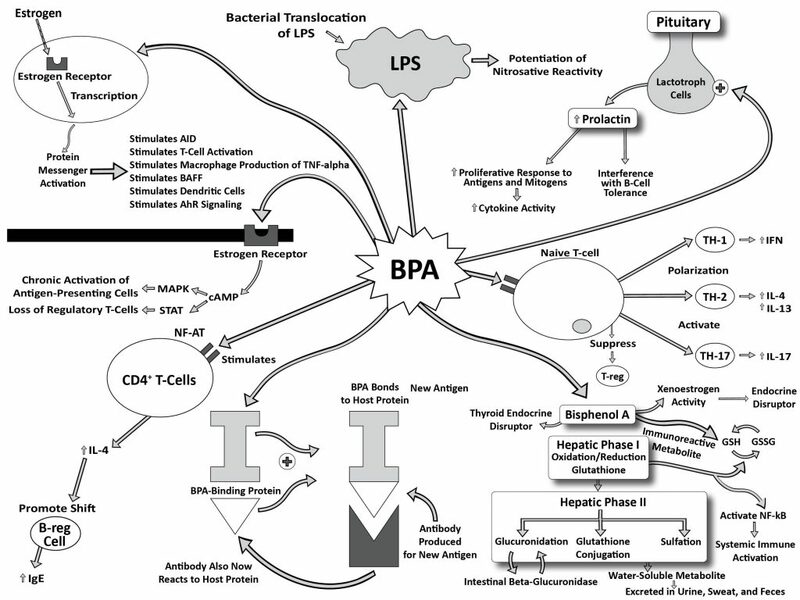 There are a lot more endocrine disrupters than BPA, including BFRs, PBDEs, PFCs, and PCBs. Everyone focuses on BPA, but there is BPAF to BPZ as well. BPS also has endocrine disrupting capabilities. Where do you find BPAF to BPZ and BPS? Aaron, Thank you for putting out some accurate information! As an attorney/chemist with over 30 years in this I have found that accurate information is scarce. You are totally right. Coffee lids are almost always made with polystyrene, which does not use BPA. The main source of BPA is polycarbonate, which is too rigid and expensive to be used in coffee lids or, indeed, in any single-use disposable application. The other source is epoxy for food cans. The epoxy is needed to prevent the transfer of extremely toxic metal components from the can. These is a lot of research into replacements for BPA-based epoxies and some of these are just now getting on the market. Glass containers do not use epoxy coatings but are not a total solution. Production and transportation of glass requires significantly more fossil fuel and lead has been known to leach from some glass packaging. What would actually be more helpful, rather than scaring all of us autoimmune patients half to death, would be to suggest some solutions, aside from trying to reduce our exposure to these disruptors. Is there anything you can do to protect your endocrine system, given that it is incredibly difficult to avoid 100% of chemicals? Thank you. Justine – I believe the point is that there is no easy fix for this, and avoidance is the best policy. Endocrine disruptors are a serious concern. In our modern world, there is no way to avoid all toxins, so a good plan is to eat a diet strong in antioxidants to help with the toxins we do ingest and absorb; avoid toxins when possible in food, air, water, and on our skin; and to keep stress to a minimum, which helps the immune system to stay strong and do its job.